For his outstanding and prolific contributions in research and education in mineral processing, surface chemistry and hydrometallurgy. Jan D. Miller is chair and the Ivor D. Thomas professor of metallurgical engineering at the University of Utah. He received his B.S. degree from The Pennsylvania State University and his M.S. and Ph.D. degrees from the Colorado School of Mines. At the University of Utah, Miller has devoted more than 35 years to undergraduate and graduate instruction. During this time he has supervised the research of 88 graduate students who have successfully defended their theses. Miller’s research covers the areas of mineral processing and coal preparation, specializing in particulate systems, aqueous solution chemistry and colloid and surface chemistry. Additional research considers hydrometallurgy, flotation chemistry, particle technology and environmental processing technology, including wastewater treatment processes. Miller is a member of SME, TMS and the American Chemical Society. This past year he was recognized by Gdansk University of Technology with the Za Zaslugi Dla medal for special meritorious contributions. He was also recognized by SME by a special symposium and proceedings in his honor at the 2005 Annual Meeting. 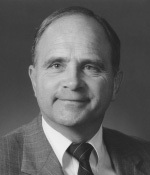 He was elected to the National Academy of Engineering in 1993.